YOUR PASSPORT TO A RUSSIAN-JEWISH WORLD OF CULTURE AND LEARNING: GET INSPIRED! The energy and inspiration of more than 50 volunteers, organizing an incredible program for Limmud FSU Princeton 2013 is contagious! Join us on March 15 – 17th, 2013 and experience the magic of Limmud FSU! Limmud – the volunteer-driven Jewish learning experience started in Great Britain 30 years ago. Since 1990, Limmud has spread to Jewish communities across the world. The first Limmud Conference took place in the UK in 1980, awakening inspiration in hundreds of activists who returned home full of enthusiasm. This resulted in the idea of organizing local Limmud events. 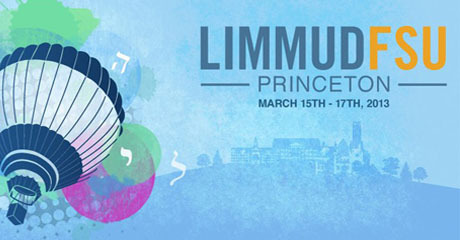 The Jerusalem Post reported in 2000 that “Every place that has Jews should have its own Limmud.” Limmud is a dynamic, pluralistic gathering of Jewish learning. For 30 years, Limmud seminars and conferences around the globe, from Canada to Australia, Switzerland and Turkey, as well as Israel, have been attracting Jews of all ages and backgrounds, including those who have studied Jewish topics intensively and others who have very little practical knowledge. Seminars, lectures, workshops, and discussions focus on an enormous range of topics, from social and political trends within Jewish communities and around the world, to Israeli politics; from Jewish cooking; from traditional texts, Yiddish theater, dance and music. Among the lecturers are world renowned academics and journalists; others discuss their hobbies and inspire others with their enthusiasm. Presenters of one topic become participants in workshops on others. All participants are equal; all are free to choose topics that interest them and select the sessions they wish to attend or not. All organizers, lecturers, and presenters are volunteers. The primary mission of Limmud International is to develop, support, and continue to sponsor programs throughout the world. We fully recognize our responsibility to support the spread of Limmud’s global success story, helping other communities benefit from the conference’s vast experience. We strive to use Limmud’s core goals to create, enrich and enhance our Jewish life. Diversity Our conference is open to all who want to learn, from all backgrounds, ages, and levels of Jewish observance. Free-for-all, all-for-free The presenters, lecturers, artists and speakers all give their time as volunteers; none are paid. Roam as you wish Wherever you find yourself, Limmud FSU Princeton will take you one step further on your Jewish journey. Sessions are not compulsory – attend as many or as few as you like. 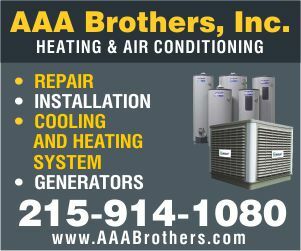 Paying your own way There is a special volunteer discount, but participants pay a conference participation fee. Limmud FSU brings together and empowers young Jewish adults who are revitalizing Jewish communities and culture in the countries of the Former Soviet Union, as well as in countries with Russian speakers around the world. Built on the experience of an international group of Jewish leadership, working in close partnership with Limmud FSU volunteer leaders, Limmud promises a rich educational experience – for the community, to the community and by the community. Limmud FSU shares in the core goals of diversity, learning, community and volunteerism with the other Limmud conferences throughout the world. Limmud FSU was founded by Chaim Chesler, Sandra Cahn and Mikhail Chlenov in 2006. Matthew Bronfman joined shortly after as chairman of the International Steering Committee. We are happy to have had the opportunity to develop and implement Limmud conferences in Russia, Ukraine, and other countries of the Former Soviet Union, as well as in Israel and the USA. Limmud FSU seeks to restore the tradition of lifelong Jewish learning and to strengthen Jewish identity. We hope our successful model and continuing efforts will ensure a vibrant and sustainable Jewish future for young Russian-speaking adults in the FSU, in Israel, in America and throughout the world, through the conference’s educational opportunities and leadership training.